21st Feb 2013, Shah Alam - Two of GiLoCatur's children - Anis Fariha and Fahim Al-Faqeh, were among the chess athletes who took part in the MSSS chess championship that just concluded today. Alhamdulillah, both of them were among the champions and winners. GiLoCatur's youngest son, Fahim represented PPD Petaling Perdana in the Under 12 Boys category. Praise to Allah, he emerged as the champion in the Individual event after scoring 6.5/7 points. In the Team event, Fahim with his three other team mates - Muhammad Faqih Aminuddin, Raja Bazil Bot Raja Badli and Muhd Zulfikri M Sulkifly, emerged champion after accumulating 9 match points from four wins and one draw. It will be a memorable MSSS chess championship for Fahim when he was declared the winner for the Best Board category. Since 2011, Anis has represented PPD Kuala Selangor in the Under 15 Girls (P15) category. This year will be the last time for her competing in the P15 category. Praise to Allah, her team was declared as the champion in the Team event. All her team mates are also her school mate of Sekolah Menengah Sains Kuala Selangor (KUSESS). Anis played on first board. Her team mates are Nur Najiha Azman Hisham (2nd Board), Puteri Rifqah Fahada Azhar (3rd Board) and Anis Nabila Ahmad Zuhdi (4th Board). In the Individual category, Anis was declared as the second runner-up. She collected 5/7 points from five wins and two defeats. 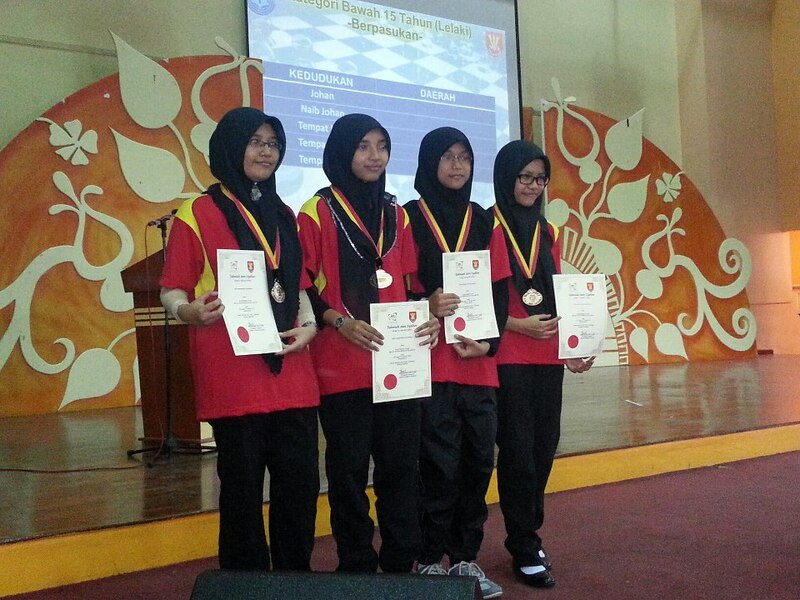 Surely GiLoCatur is very proud of their achievements in the MSSS chess championship 2013 edition. Hopefully, both of them maintain the success in the future MSSS. Syukur Alhamdulillah! Both PPD Petaling Utama and PPD Kuala Selangor won THREE Gold medals. The former dominates the Boys secondary school, both L15 & L18 Individual events while the latter dominates the Girls secondary school, both P15 & P18 Individual events. The former also won the L15 Team event while the latter also won the P15 Team category. Meanwhile, PPD Petaling Perdana and PPD Klang won TWO Gold medals. The former dominates the L12 category by winning both the Individual and Team categories. PPD Klang dominates the Under 18 Team categories by winning both Boys and Girls sections. PPD Kuala Langat and PPD Hulu Langat won a Gold medal each. The former won the Individual P12 category while the latter won the Team P12 category. The overall champion was won by PPD Klang. 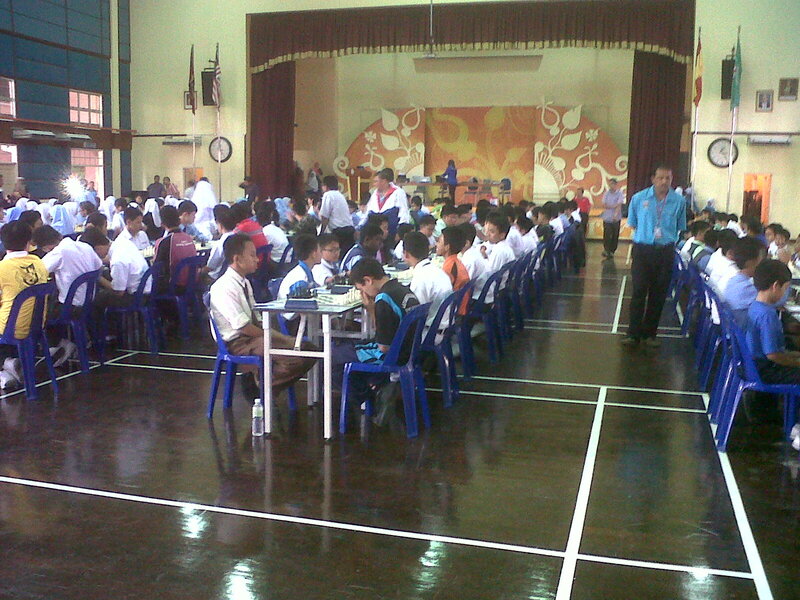 Congratulation to all the champions in the 2013 MSSS chess championship held at Sekolah Seri Puteri, Cyberjaya. In the Under 18 category, can the unofficial champion in Roshan Singh of PPD Petaling Utama (PU) and Nur Nabila Azman of PPD Kuala Selangor (KS) lead their respective team to better placing? Both of them just move up from the Under 15 category. If not mistaken, in the Boys section PPD PU was placed sixth while in the Girls section PPD KS was placed eighth last year. For Under 15 category, GiLoCatur picks PPD Petaling Utama and PPD Kuala Selangor to defend the Gold medal in the Boys and Girls section respectively. Based on the unofficial results in the Individual category, each team has the Top Two winners. Will the prediction be true? Let's find out tomorrow after the five rounds have completed. 20th Feb 2013, Cyberjaya - The Individual event of the MSSS chess championship had completed this afternoon. Round 6 was played at 8.30 am while the final Round 7 was played at 1.30pm. The first round of the Team event was scheduled at 5.30pm. The format of play for the team event is five rounds of 25-minute-per-player time control. Each team consists of four players. Below are the pairings for Under 12 categories. In the Boys section, the top seed is PPD Petaling Perdana. The initial ranking or seeding is based on last year standing. The team was paired against PPD Hulu Langat. On board 2, PPD Klang faced PPD Hulu Selangor. Can PPD Petaling Perdana team which consists of Faqih, Fahim, Raja Bazil and Zulfikri emerge champion again? The unofficial result is the team won 3 - 1. In the Girls section, the top seed is PPD Klang. 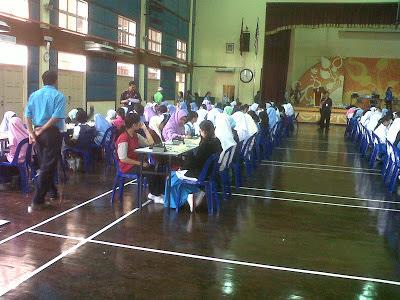 In the first round as per below pairing, its opponent is PPD Hulu Langat. 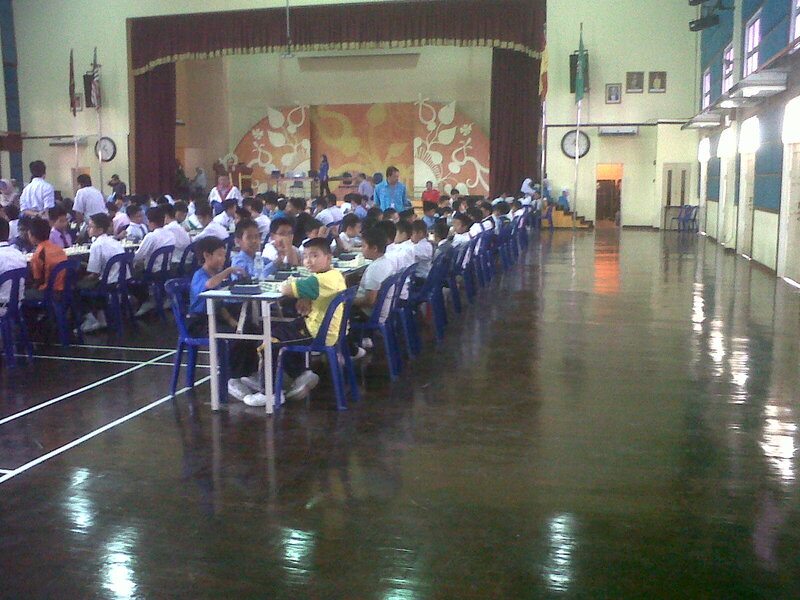 Two rounds had completed in the MSSS chess championship. Who had scored the points? Who are the chess players competing and from which district they are? Who played against whom? Check out the following blogs to find out. The MSSS Chess Championship Is Here! The MSSS Chess Championship comes again. It will start in less than 12 hours. For this year edition, where it will be held? In other words, where is the venue of the championship? Which PPD (District Education Office) will host the annual event? If you smart enough, you will find the answer in below picture. Yes, you are right. An all-girl full boarding school or SBP in its Malay abbreviation named Sekolah Seri Puteri will host the 2013 MSSS chess championship. The school is located in Cyberjaya. Two hundreds and forty (240) young chess players from ten (10) PPDs in Selangor will compete in the championship to win 12 Gold medals - six in Individual event and six other in Team event. There are six categories in the championship - Under 12 Boys (L12), Under 12 Girls (P12), Under 15 Boys (L15), Under 15 Girls (P15), Under 18 Boys (L18) and Under 18 Girls (P18). Two of GiLoCatur's children - Anis Fariha and Fahim Al-Faqeh, will take part in the championship. The former will compete in the P15 category representing PPD Kuala Selangor. Meanwhile, the latter will represent his PPD Petaling Perdana in the L12 category. Which PPD GiLoCatur will support and cheer? To be fair to both GiLoCatur's children, GiLoCatur will support and cheer both PPD Kuala Selangor and PPD Petaling Perdana. Actually, it is not only GiLoCatur who has this dilemma. Several other parents have their children representing in more than one PPD team. GiLoCatur has been attending the MSSS chess championship as a parent for six consecutive years. The first one was in the 2008 edition. In that edition, GiLoCatur's eldest son was representing PPD Petaling Perdana in the L12 category. In the following year, GiLoCatur's only daughter joined her elder brother making her debut appearance in the championship. The 2011 edition was the most memorable one when GiLoCatur's youngest child joined his elder brother and sister in the championship. Below table provides the venue information for the MSSS chess championship over the last six years. It is quite amazing that the last time PPD Sepang hosted the championship was also in the month of February. PPD Sabak Bernam had hosted the championship back-to-back in 2010 and 2011. GiLoCatur is hoping PPD Petaling Perdana who was the overall champion in the 2010 edition will host the championship next year since it has never been the host in the last six editions. GiLoCatur believes many parents who cannot attend the championship are eager to follow the event and to know the updates. Insya Allah, GiLoCatur will try to update as often as possible. So, stay tune and follow GiLoCatur's twitter @GiLoCatur. Good luck to all the players competing in the 2013 MSSS chess championship! KUSESS. GiLoCatur believes many GiLoCatur's blog readers don't know what it is. Let's GiLoCatur explains what the abbreviation means. 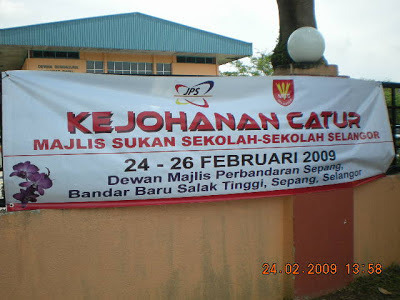 KUSESS is the acronym for Kuala Selangor Science Secondary School or in Malay, Sekolah Menengah Sains Kuala Selangor. 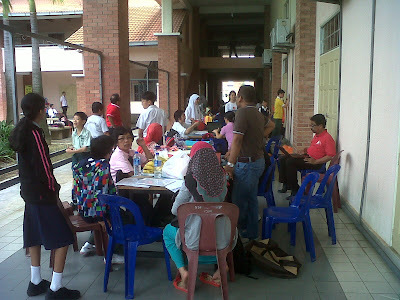 It is a full boarding school or better known as SBP (Sekolah Berasrama Penuh) in Malay. The school started to operate since September 1996. 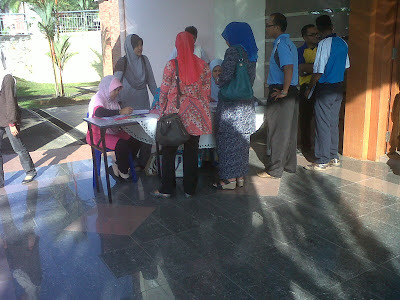 GiLoCatur's only daughter, Anis Fariha, becomes one of its students when she enrolled in Form 1 in January 2011. 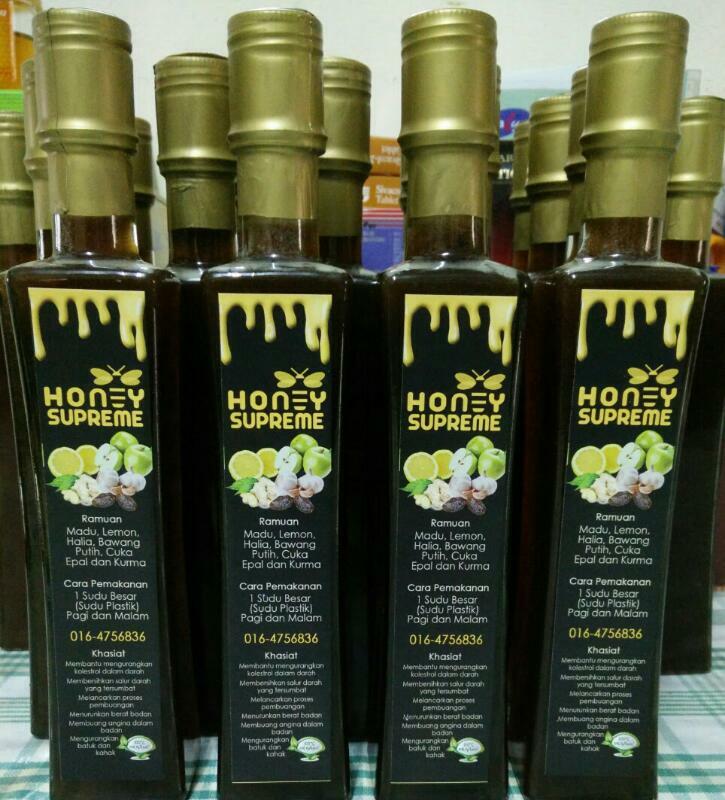 KUSESS is situated in Kuala Selangor. Therefore, it belongs to Kuala Selangor district. As usual, the science school sends a team of four chess players for each secondary school categories in the 2013 Kuala Selangor MSSD chess championship held last week. Actually, there are four categories for secondary school in the championship. They are Under 15 Boys (L15), Under 15 Girls (P15), Under 18 Boys (L18) and Under 18 Girls (P18). This year edition is the third time that Anis representing her school. And it will be her last one in the Under 15 Girls (P15) category. This year, KUSESS had achieved much better results compared to previous editions. It became the overall champion for the secondary school category and won FOUR Gold medals and ONE silver. It won three Golds in the individual category - both U15 and U18 Boys and U15 Girls, and one Gold in the team event, U15 Girls. 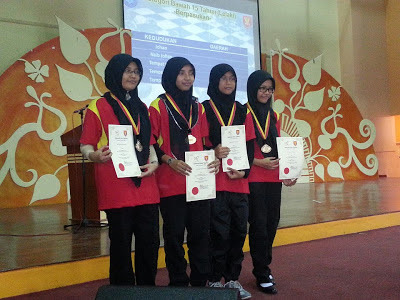 It becomes sweeter for Anis since she and her other three teammates will represent Kuala Selangor district in the Selangor state chess championship to be held next week in Cyberjaya. Well done KUSESSians! Syabas & Tahniah from GiLoCatur. 6th Feb 2013, Shah Alam - The Petaling Perdana District chess competition for the primary school i.e. Under 12 had ended yesterday. Nearly 250 primary school pupils took part in the scholastic chess tournament being held at the hall of Sekolah Kebangsaan (SK) Seksyen 9. Fahim, GiLoCatur's youngest child, also took part representing his school, SK Bukit Jelutong. Alhamdulillah, he was among the winners who received the medals from the Petaling Perdana education district officer. Below are the photos of the winners for the team category. SK Bukit Jelutong had won the gold medal or emerged as champion in three out of four categories. It won both the team events - the Boys and the Girls. Its third gold medal was won in the Individual Boys category. The Individual Girls gold medal was won by SK Subang Jaya. GiLoCatur observed that the quality of the tournament has improved drastically since more schools are serious about the championship. GiLoCatur noticed the presence of more chess coaches. If a couple years ago, an American guy could be seen among the parents and coaches, this time around GiLoCatur met an another American guy. The new American guy made his debut appearance and attendance accompanying his pupils of the Kingsley International school who took part in the MSSD chess championship for the first time. Well done and tahniah to all the winners. Salute to all the accompanying teachers who take care and be patient with their energetic and active young chess players. See you again in next year edition. 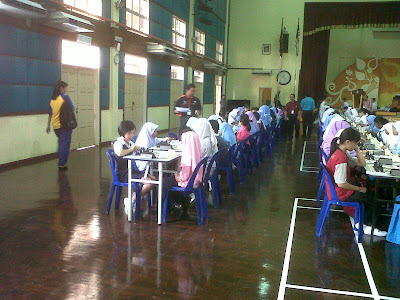 SHAH ALAM - MSSD chess competition for primary school (Under 12) category for Petaling Perdana district started yesterday on Monday. For many years SK Seksyen 9 has been the host. There are two sections as usual which are the Boys and the Girls. The number of players take part this year are 156 in the Boys section and 86 in the Girls section. GiLoCatur's youngest child, Fahim Al-Faqeh, represents his school, SK Bukit Jelutong, in the Boys section. The secondary school category, both Under 15 and Under 18, was held last week. For information, there are ten (10) districts in Selangor MSS. Petaling Perdana district is one of the biggest in Selangor. Actually, Petaling Perdana was part of Petaling district, while Petaling Utama was the other one. The MSSD chess championship is a bit early this year because the national-level MSSM will be held in March instead in June as usual. Several districts have carried out their championships while few others will conduct theirs soon. MSSD Kuala Selangor will start its championship today. 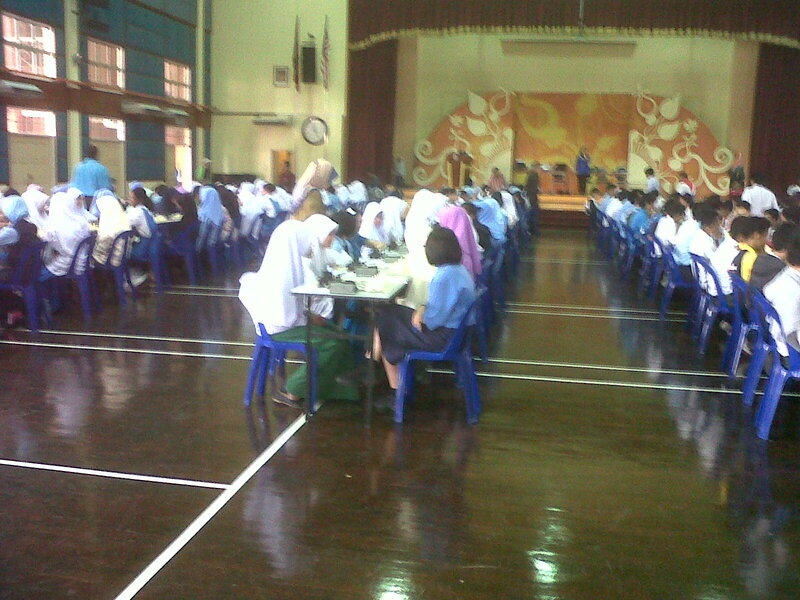 For Kuala Selangor district, both primary and secondary school categories will be held concurrently. GiLoCatur's only daughter, Anis Fariha, will represent her school in the event. Four rounds had completed in the first day of the MSSD Petaling Perdana championship. Another four rounds will be held today. Good luck to all the participants especially to Fahim and his school chess team. 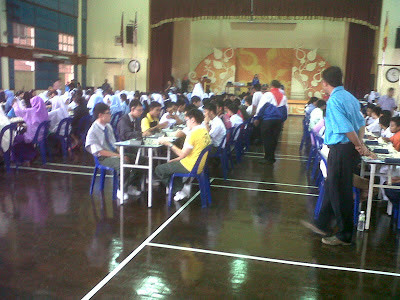 Below are several photos of the MSSD PP chess championship snapped using Nikon L14 digital camera. The 2013 National Age Group (NAG) chess competition is on-going in Bandar Seri Iskandar, Perak. Two days had gone, six (6) rounds had completed. Today (Sunday, 3rd February 2013) will be the final day where last two rounds will be held. There are six age groups - U8, U10, U12, U14, U16 and U18. There are two sections which are Boys and Girls for each age group. So, who are the current leaders? Are the top seeds at the top of the table? Let's find out. Since GiLoCatur is not present at UTP, the results are solely based on the ones published at the chess-results.com website. While there are 16 participants taking part in the Boys section, there are only nine (9) players in the Girls section. Three players are leading the pack with 5 points out of the total six rounds. 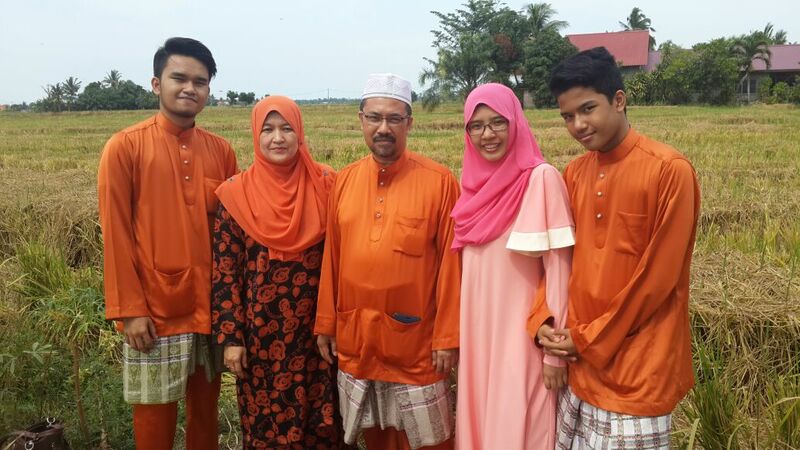 Two of them are from Penang while one is from Selangor. It is most likely that one of these three leaders will become the champion. In the Boys section, a player from Wilayah Persekutuan named Wong Zi Yue is leading with 5.5/6 points. He is the top seed with national ratings of 1331. Is he related to Wong Jianwen? GiLoCatur is not sure. But can he become the next Jianwen for MSSMKL? Let's wait and see. Amier Hamzah Mohd Zuhri is the current leader in the Under 12 Boys category. He scored 5.5/6 points from 5 wins and one draw. Amier from KL breaks the Penang players dominance in this age group. Both Yinn Long and De Juan are trailing Amier 1/2 point. In the seventh round, both of them are paired at table #2 while Amier will be challenged by another KL player, Jen Shen at the top board. Interestingly. two Selangor players, Jian yang and Emir Rusyaidi will fight each other at table #3. Can Jen Shen spoil Amier's dream to become the champion in the Boys Under 12 age group? In the Girls section, the second seed Teh De Zen is the current sole leader. Thanks to her state mate, Teh Ming Min (De Zen's relative maybe?) who won against Puteri Munajjah of Selangor in Round 2. Since De Zen and Munajjah had played each other in the sixth round, the former has better chance to emerge as the champion. Can her next opponent, Shu Zing, delay De Zen's celebration before the final round? Meanwhile, Munajjah can't afford to lose any point in the final two rounds in order to be among the top three winners. In the Boys section, the top seed is placed in the mid of the table before the two final rounds are over. The sole leader in this age group is another Penang player, Ooi Zhi Yang. His score of 5.5/6 points is one point ahead of the rest players. Three players have 4.5/6 points while seven others have 4/6 points. Can Zhi Yang maintain his winning momentum to be crowned as the champion? In the Girls section, GiLoCatur believes the top seed, Nur Najiha, has the upper edge to be the champion. She scores the perfect 6/6 wins. She is leading her age group by 1 1/2 point. She edged her schoolmate in the fifth round. Like in the Boys section, three players have 4.5/6 points and seven others have 4/6 points. GiLoCatur has to stop writing at this point. It is almost 3.30 o'clock in the wee hours. Hopefully, GiLoCatur can continue writing the U16 and U18 age groups later after sleep.